How Much Sugar Do Teens Actually Consume? 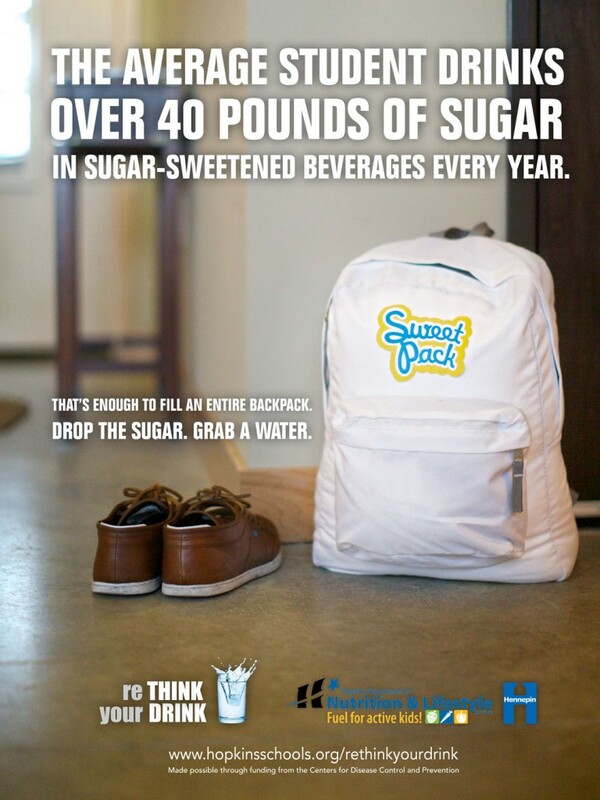 Community Blueprint worked with a group of high school students from Hopkins High School to create a video that showed just how ridiculous the amount of sugar teenagers take in from sugary drinks is, and that water is a much better and smarter option. Through multiple meetings, the high school students brainstormed a concept that they felt teenagers would find interesting and impactful, and then starred in the video. A poster campaign accompanied the video in schools. The average high school student in the United States consumes a staggering 40 pounds of sugar from sugar-sweetened beverages every year. 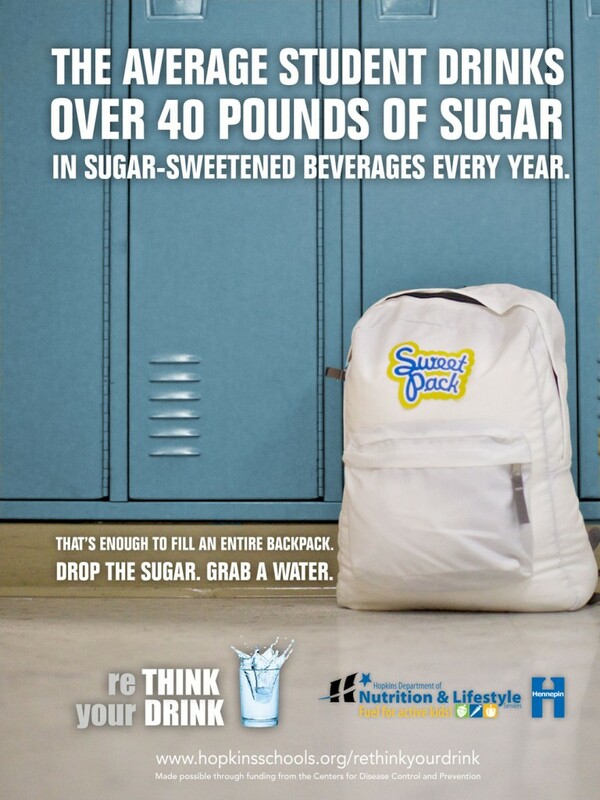 With the childhood obesity epidemic a top concern for health and school officials, the Hennepin County Human Services and Public Health Department wanted a unique way to reach out to students about decreasing their sugary beverage intake.